View More In Decorating Kits. 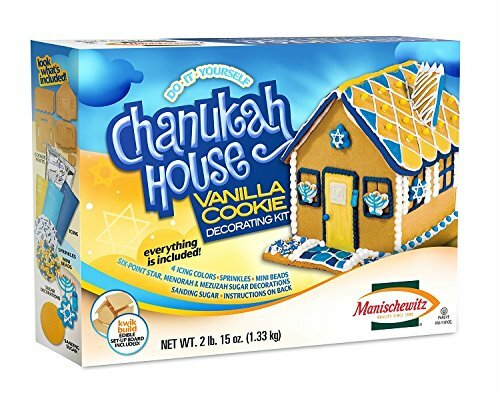 Manischewitz's Do-It-Yourself Chanukah House Vanilla Cookie Decorating Kit, comes with everything included in the box. 3 icing colors, sprinkles, mini beads, fondant, six-point star, menorah & mezuzah sugar decorations, and sanding sugar! If you have any questions about this product by Manischewitz, contact us by completing and submitting the form below. If you are looking for a specif part number, please include it with your message. Cake Decorating Piping Nozzles Set 6 Pcs, Approx. diameter 2.5 cm.